Rugby School is one of the oldest public schools in England. The school was founded in 1567 as a provision in the will of Lawrence Sheriff. The game of rugby owes its name to the school. 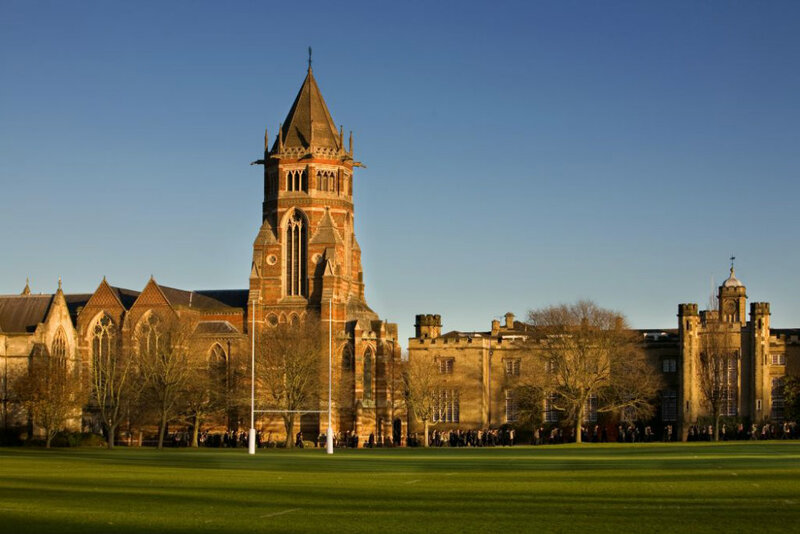 Rugby School is one of the oldest public schools in England, and is renowned worldwide for being the place where the game of rugby was born and developed. The school was founded in 1567 as a provision in the will of Lawrence Sheriff, a grocer who earned a great fortune in London by supplying, amongst others, Queen Elizabeth I. It was created with the purpose of providing free education for Rugby boys; as its popularity grew, the school started attracting more and more pupils from outside Rugby, and during the mid-eighteenth century its nature shifted and it become a fee-charging school. To carry on with Lawrence Sheriff's original intentions, a new school was established in 1878, the Lawrence Sheriff School, which is still thriving today. Make sure you soak up the Close's atmosphere and visit the school's small museum and its most important buildings by taking a guided tour which run every Saturday. Pre-booking essential. £6.95 adults, £4.95 concessions, under 12s free. Tours 2pm every Saturday, booking essential. Contact bookshop for bookings. Some accessibility for wheelchair users. Contact the school directly regarding access requirements. Nearest car parks Little Church Street, or free on street parking for 1 hour. Buses no. 11 and 585 stop just at the top of Barby road. In addition, all services stop in North street and Clifton road in the town centre. Rugby School is only a few minutes' walk from both streets.